Keith Koenig could have any mattress he wants, but he continues to sleep on a waterbed. 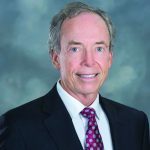 The CEO of City Furniture and his wife, Kelly, used their last waterbed for 18 years despite Koenig’s company not even selling them anymore. That is, until now. 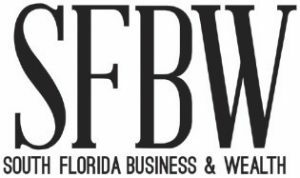 In June, the furniture company launched a newly reimagined version of the waterbed—called Afloat—at three City Furniture locations, including the Sawgrass store in Tamarac as well as in West Palm Beach. The comeback marks the waterbed’s 50th anniversary since being created. But this isn’t some water mattress from the 1970s—this one has a few new tricks. 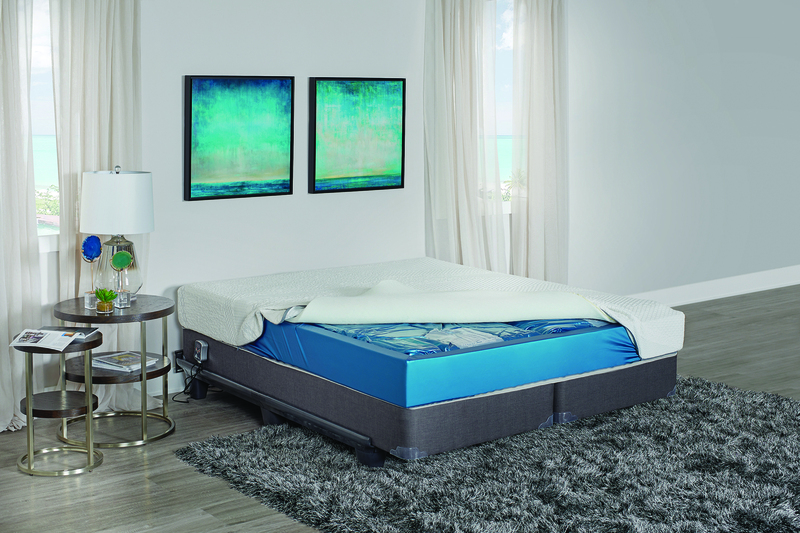 Koenig teamed up with waterbed inventor Charles Hall and former waterbed manufacturer Michael Geraghty, to retool the bed for 2018. New specs include temperature control, better wave suppression, a universal fit for linens and an advanced memory foam layer. For Koenig, waterbeds are actually in his blood. His late brother, Kevin, founded City Furniture—which was originally named Waterbed City—in Fort Lauderdale in 1971. Keith joined the business a year later, and the brothers became partners by 1975. Koenig said it was the right time for a reboot because the bed introduces new technology while addressing old health concerns. The bed comes in a range of models and price tiers, starting at $2,000 and going up to $3,300. Afloat eliminates old-school hard frames, leaky systems and the potential build-up of dust mites, bedbugs and other allergens. 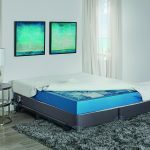 Afloat is the first waterbed City Furniture has carried since 2001, and although Koenig says the store’s name won’t be reverting anytime soon, he still acknowledges the revival as a proud moment. “Everyone at City Furniture was excited when they heard we were bringing waterbeds back,” he says. “Everyone in our company is pretty proud that we started as a little waterbed store in 1971 and that we morphed into City Furniture. Some waterbed facts and Afloat notes, courtesy of Hall Flotation, the company that manufactures and markets the line. History lesson: Charles Hall (Left) invented the waterbed for his master thesis in design school at San Francisco University in 1968. It was patented three years later. Peak sales: By 1986, 20 percent of all mattresses sold in the United States were waterbeds. 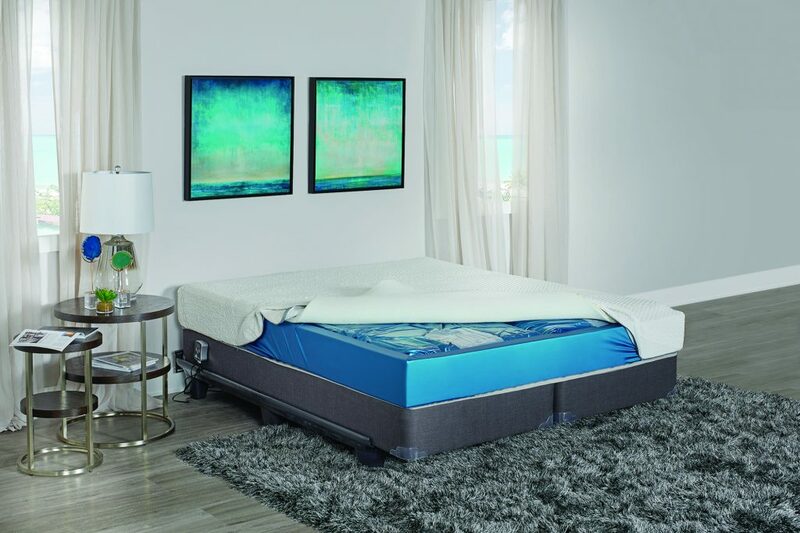 Afloat models: The waterbed comes in a queen, king and dual king (the latter, with two separate water mattresses, each with temperature control). Models are available in “pure” or “firm.” The firm includes a 1-inch temperature-controlled memory foam layer between the mattress and cover.